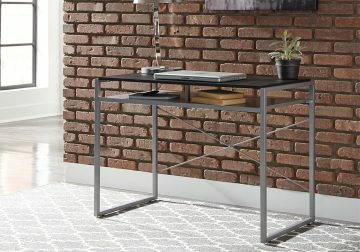 The Bertmond desk’s open concept design is perfect for bringing style to your clean, contemporary space. 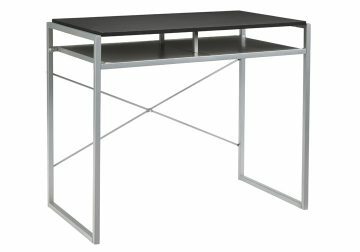 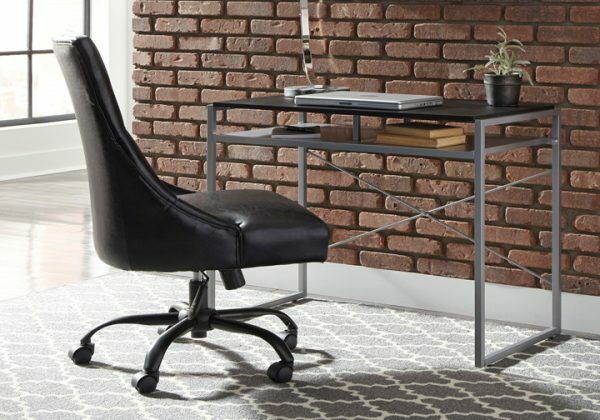 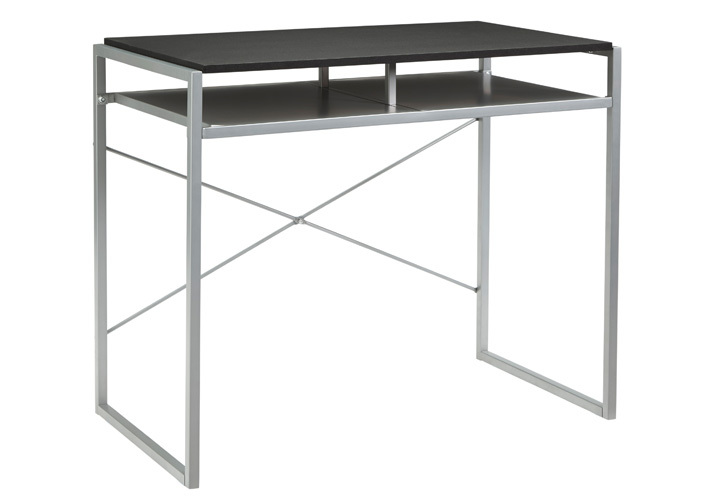 Combination of silvertone finished metal and sleek black give this mighty desk major flair. Open storage shelf maximizes your available space.